Welcome to another installment of If My Book, the Monkeybicycle feature in which authors shed light on their recently released books by comparing them to weird things. 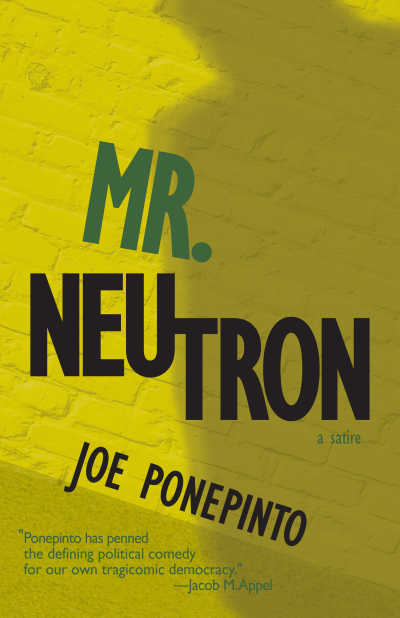 This week Joe Ponepinto writes about his debut novel, Mr. Neutron, out now from 7.13 Books. If Mr. Neutron were a rookie astronaut chosen for a mission to a distant galaxy he would not want to go, but then he would go anyway, because, who knows, he might become famous. He would hit his head on the top of the doorway getting into the ship. He would freak out during the launch and become so confused that he would accidentally shut down communications with mission control and not know how to turn them back on. He would not know how to steer the thing. He wouldn’t even know that you don’t call it a thing, and you don’t “steer” it. What choice would he have but to just sit there and wait for something to happen, to head way out there, despite knowing that he would probably perish in the indifferent vastness of space? It would bother Mr. Neutron, a little, that his story had become a parody of too many of those lost-in-space blockbuster movies, because back on earth no one would have ever thought of him as a George Clooney, Matt Damon, or Tom Hanks type—no, not by a long shot. He would think that since he was in space he could change his name to something more astronauty, like Kevin Spacey, but no, that name was no good anymore. Mr. Neutron, as you probably have figured out, has a hard time staying focused. Eventually, though, Mr. Neutron would begin to appreciate the universe outside his little window: the stars and planets, the comets, and the other celestial bodies streaking by on his journey to oblivion. He would see a swirling light ahead and know that it was a wormhole, and realize that the ship was headed straight for it, and oh, if he could only pilot his way past it. But no. The wormhole would open before him, ready to swallow him whole and spit him out in another place, another time, perhaps another dimension. And as he grasped the possibilities, Mr. Neutron would no longer be afraid. 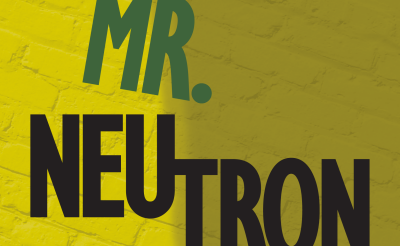 And if Mr. Neutron were a book, it would have been the only everyday earthly object allowed on board the spaceship—a reminder of where he’d come from. Unless, of course, it had been forgotten during packing and was still sitting on the dresser at home. Joe Ponepinto is the founding publisher and fiction editor of Tahoma Literary Review, a nationally recognized literary journal that has had selections reproduced in Best American Poetry, Best American Essays, Best Small Fictions, and other notable anthologies. He has had short stories published in dozens of literary journals in the U.S. and abroad. A New Yorker by birth, he has lived in many locations around the country, and now resides in Washington State with his wife, Dona, and Henry the coffee-drinking dog. Follow him on Twitter at @joeponepinto.